Tuition fee: Non-EU students 7,800 € per semester plus 750 € registration fee. EU students 6,200 € per semester plus 500 € registration fee. Starting from 500 € per month with guarantee. 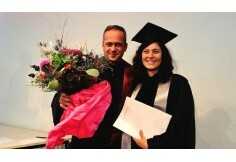 Open Media Master M.A., Specialisation Digital Entrepreneurship (M.A.). The specialisation Digital Entrepreneurship teaches students to design electronic products and services which support business activities through electronic processes, giving them the necessary market knowledge and enabling them to develop a sense of entrepreneurship. Students acquire comprehensive strategic, design, technical and business skills to develop digital media products at a high project-managerial level. They learn how to involve the various stake holders and experts and how to devise the relevant briefing specifications. Students critically analyse different types of web 2.0 services, especially social media, apps and other mobile services (including augmented reality features) and are trained to analyse and develop business models in this context. Furthermore, they are challenged as “entrepreneurs” and able to sharpen their own start-up ideas, not only strategically but also regarding practical start-up requirements. Potential careers with this M.A. To begin a master’s programme, you require at least 210 ECTS. If you have completed your bachelor’s degree with 180 ECTS, Macromedia University offers the option of obtaining the extra 30 ECTS needed in a Pre-Semester course. The Pre-Semester course is an attendance-based course that starts in the winter semester to ensure you can begin the master’s programme in the summer semester without any difficulty. NEW: From the 2016 summer semester, the Pre-Semester course will also be available online. Macromedia University of Applied Sciences follows these developments in its capacity as a university and conceives itself as a place for reflecting on all aspects of media society. Our courses of study cover the broad spectrum of modern media careers, from management and content jobs such as journalism, to the creative fields of design, gaming and film and television. Our teaching is informed by the core idea of training students to the highest level professionally, but also giving them individual support in their personal development. 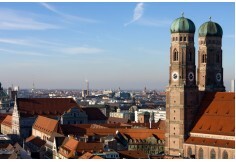 The Macromedia University is a private international university situated in Germany, offering study programs related to the digitization and globalization of society. The focus is on development programs, in which understanding of media networking, management perspective and creative design plays an important role. While the curriculum applies to the media and communications industry, it is continually expanding in line with the developments in the modern world, and presently comprises many other sectors of the economy. The aim of the college is to educate experts of the future, enabling them to leave their mark on the world via the use of media, interdisciplinary collaboration, intercultural competence, and working in the creative industrial landscapes and the civil society, thus helping shape the economy of the future. The university aims to offer its students a solid foundation for the demands of the industry they will work in once they graduate. This mission is supported by academic staff dedicated to their profession and the development of new initiatives. While the university provides study programs that equip the students with the required current scientific and practical professional knowledge, it strives towards sustainable, ethical and responsible thinking and acting, thus offering a significant service to the community and broader society. The university has also forged important partnerships with businesses and corporates, as well as many other citizens and institutions in the society. Its program and initiatives have gained international reputation, owing to the high quality standards and adherence to the requirements of international education and the labor market.